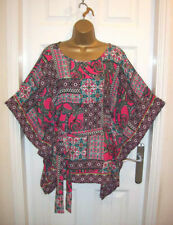 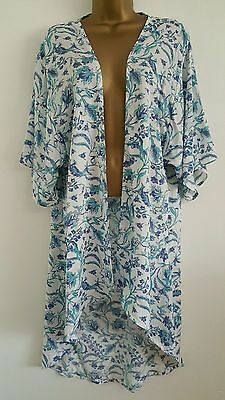 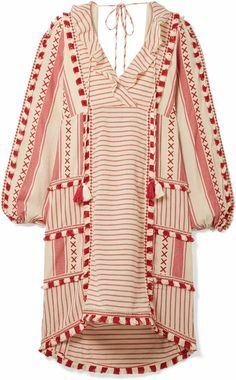 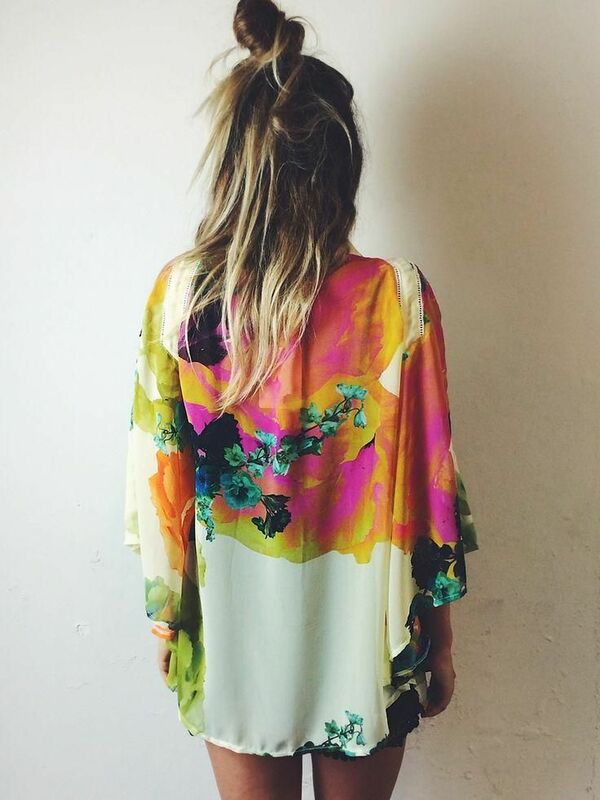 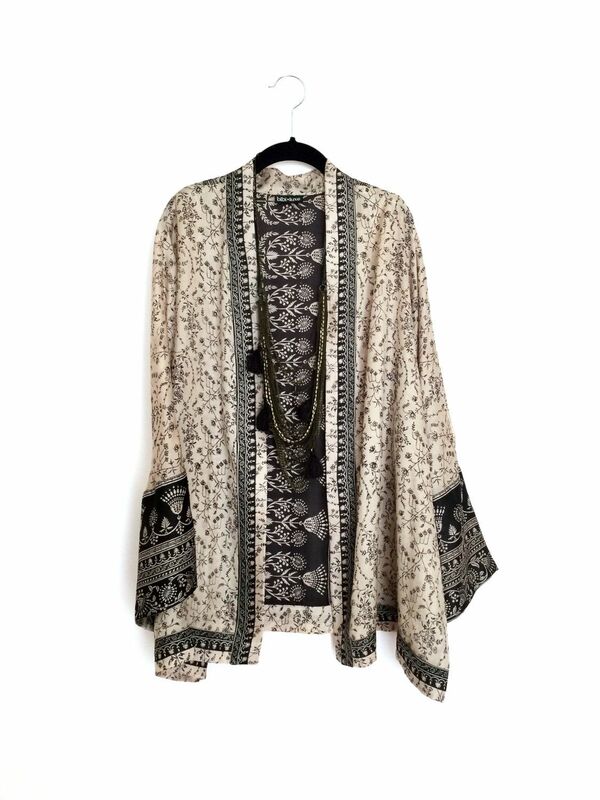 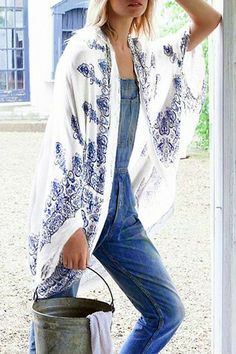 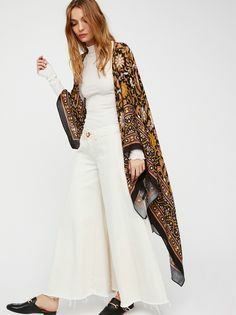 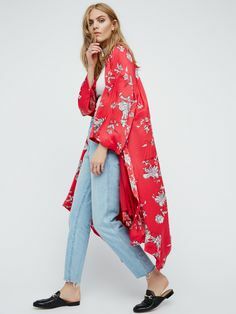 Gorgeous long kimono bell sleeves. 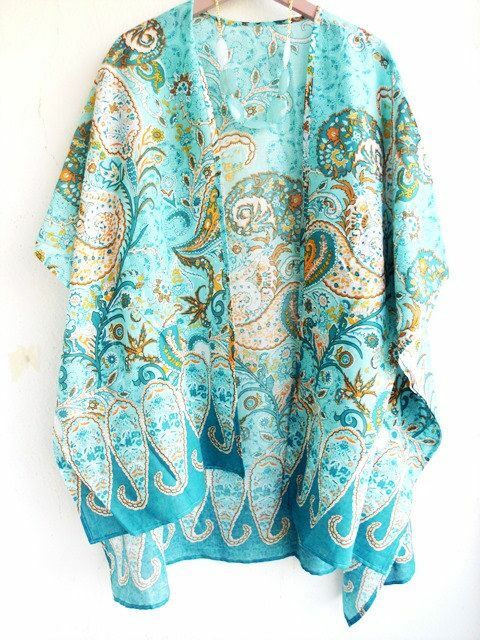 Fabric: 60% Cotton 40% Polyester. 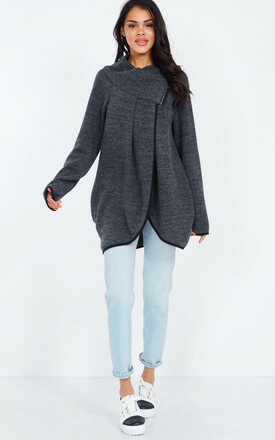 - Open front, asymmetrical bottom. 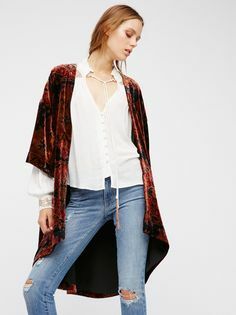 Waist & Hips: Loose, relaxed fit. 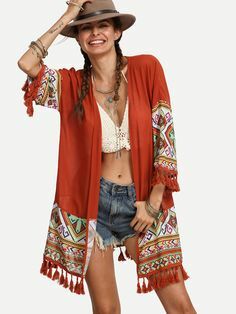 Excited to share this item from my #etsy shop: TRENDYBEGGARz Bohemian Aztec Festival Jacket in bright Colourful prints with pockets. 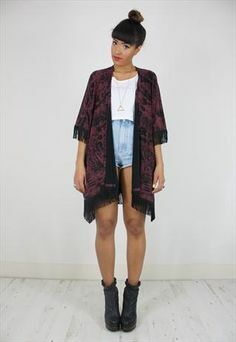 Free Spirit Clothing. 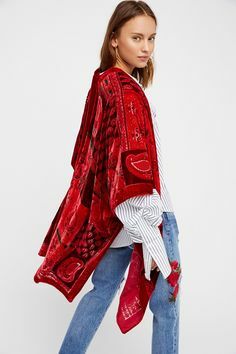 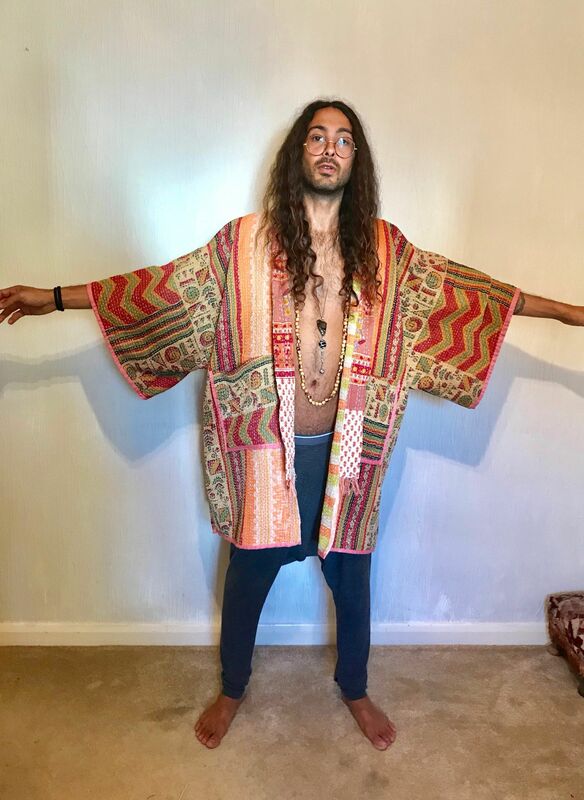 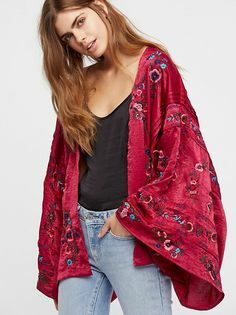 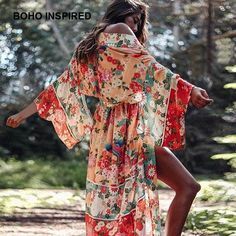 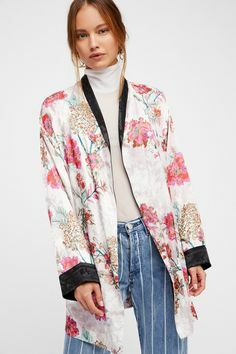 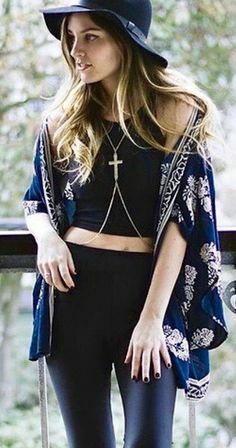 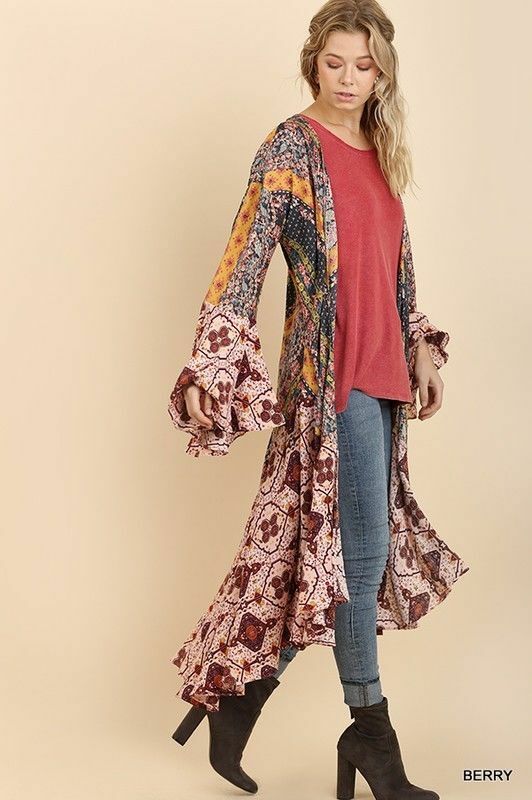 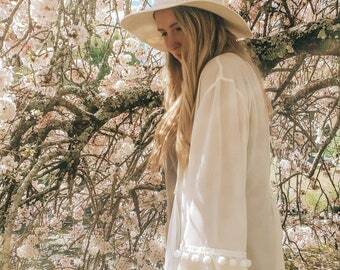 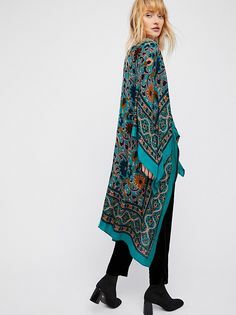 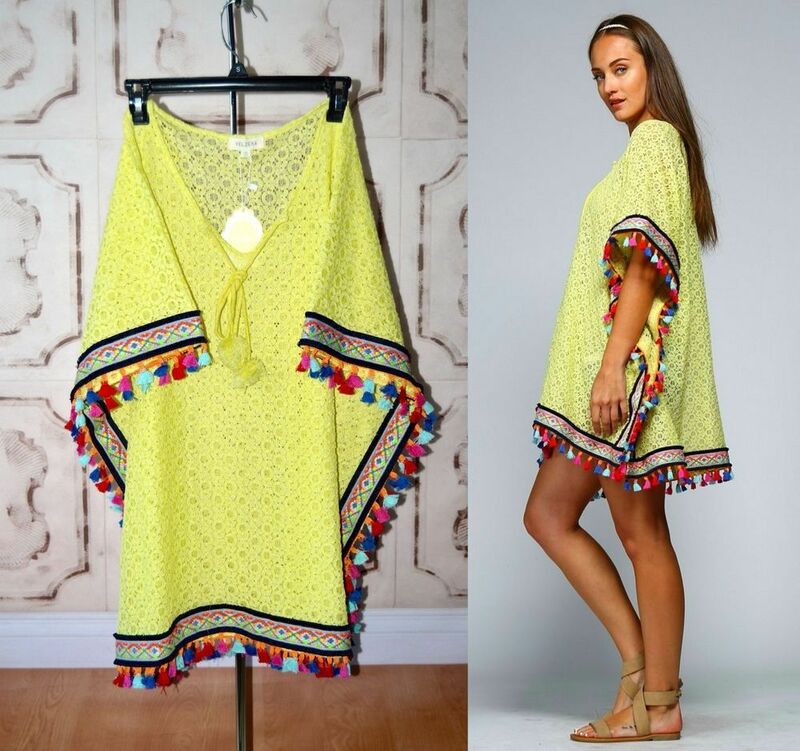 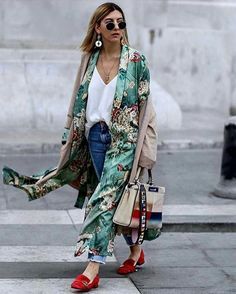 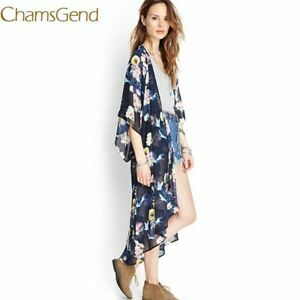 Get inspired by Over 20 Amazing Kimono and Cardigans < < Boho Casual Outfits and Festival Fashion Inspiration to Shop Now from Pasaboho. 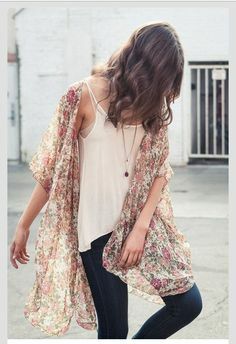 summer beach style. 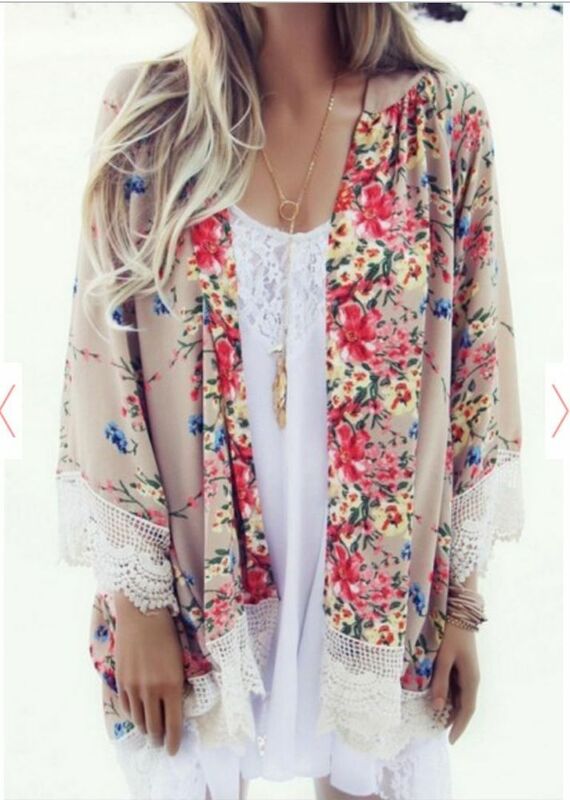 floral printed maxi kimono. 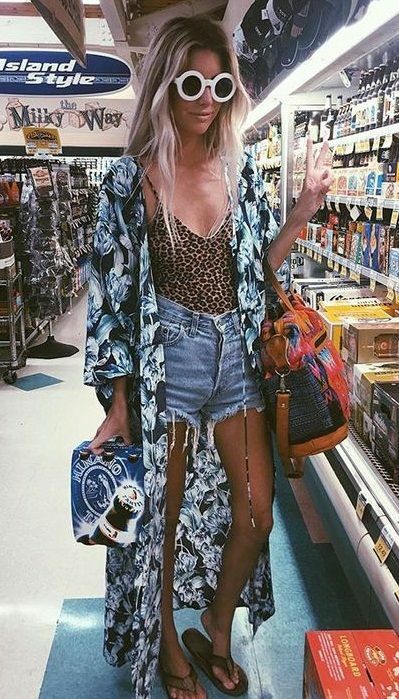 denim shorts. 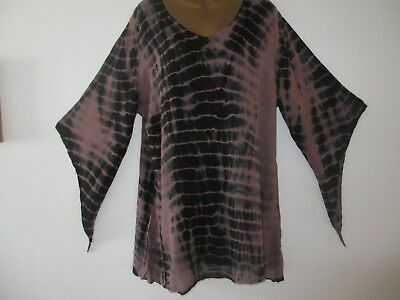 animal print swimsuit. 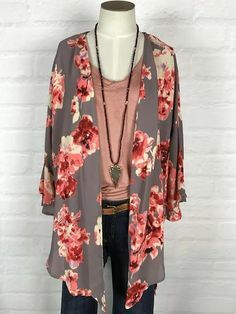 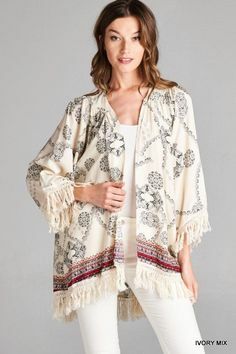 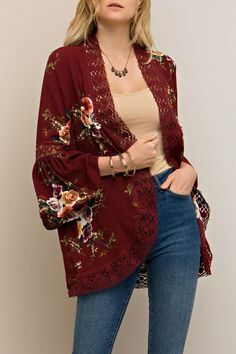 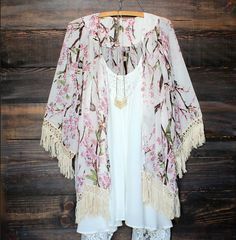 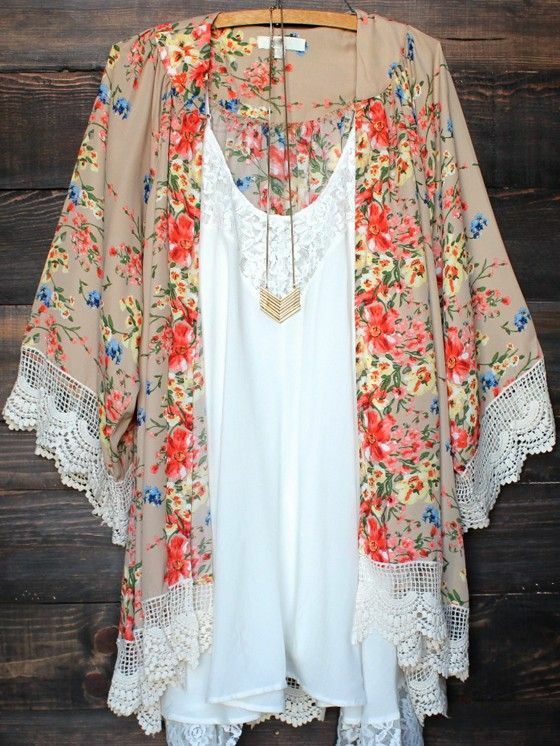 Floral Kimono with Fringe! 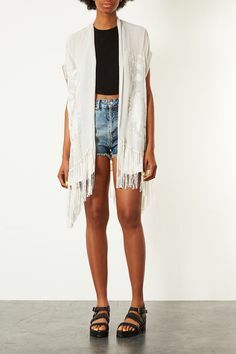 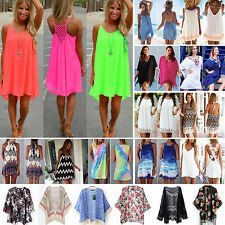 The perfect outfit for Coachella and Summer festivals and outdoor concerts!